Llamas are larger with coarse fleece, banana shaped ears and are often the herd protectors because they are brave. They are often used for packing with their long strong straight backs. Alpacas are smaller more shy and can easily be handled or trained. Alpacas are a herd animal and need a buddy to be with. 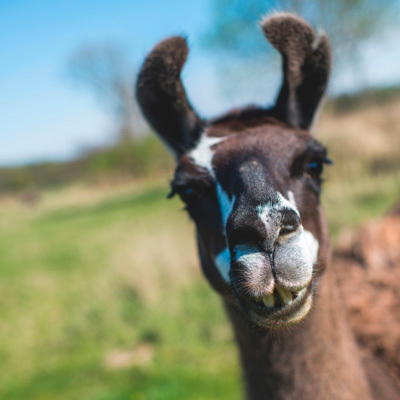 We carry feeds that are specifically formulated to meet nutrition needs of our llama and alpaca friends in all stages of life.